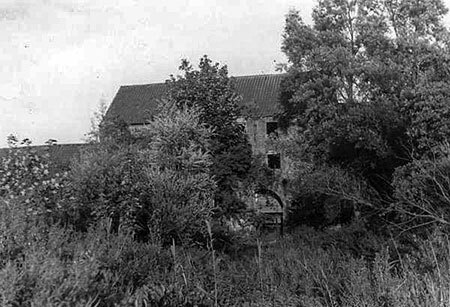 Hardingham watermill was situated in a wooded area away from the village to the point where it was actually in the parish of Runhall. 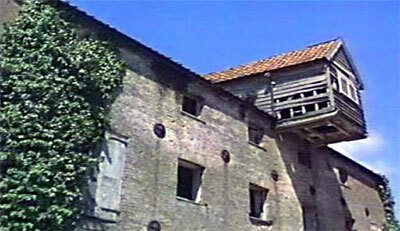 The mill consisted of two adjoining buildings of different sizes. The larger structure was built of red brick and then weather boarding and a Norfolk pantile roof, while the smaller building was of weatherboarding under a similar type of roof. 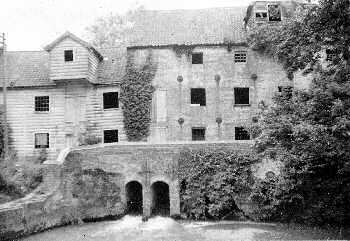 The mill was rebuilt c.1820 and used three pairs of stones. Both lucums projected an unusually long way out from the building. 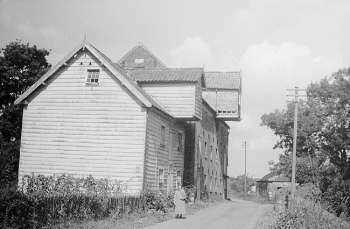 The mill ceased production in about 1935. 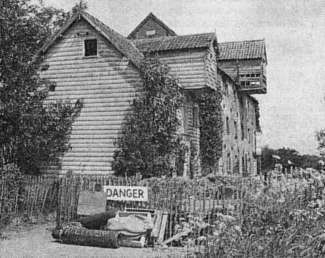 Up until about 1912 the watermill was worked in conjunction with the tower_windmill that stood just to the north. 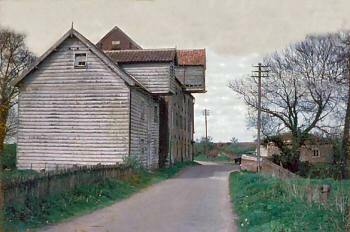 The Valuable Water Mill & Wind_Mill at Hardingham in Norfolk, with flour mills, machinery & going gears complete, now in full trade, with a Dwelling house & from ten to 35 acres of land. The Mills are entirely new built upon the most improved construction & are capable of manufacturing 9 lasts of corn per week upon an average. Hardingham is situated in a fine corn country 5 miles from Wymondham, 7 from Dereham & 12 from Norwich, all good corn markets. Immediate Possession may be had. Apply to Mr. Gilman, Solr. Hingham. Dividend of 10s. in the pound. A Very good FARMHOUSE & an excellent Water Mill & Wind_Mill with flour mills, machinery & going gears complete & from 200 to 270 acres of land in a ring around the buildings at Hardingham in Norfolk. The Mills are entirely new built upon the most improved construction & are capable of manufacturing 9 lasts of corn per week upon an average through the year. A small Dwelling house adjoins the Mills which are so conveniently detached from the principal buildings, but at a short distance, that they might with perfect convenience be occupied with or separately from the Farm house. Hardingham is in a very fine corn country, 5 miles from Wymondham, 7 miles from Dereham & 12 miles from Norwich, all good corn markets. Apply to Mr. Gilman, Hingham. 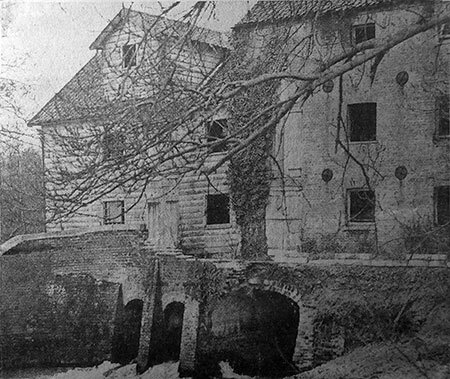 James & William Smith, millers & bakers, were running the mill in 1834 along with Hardingham_towermill, Caston_postmill and Rockland_St_Andrew_postmill, when they got into financial difficulties and were forced to assign their personal estates and effects to their creditors. Notice is hereby given that James Smith and William Smith, of Hardingham, Rockland_All_Saints and Caston, in the county of Norfolk, Millers and Bakers, have by Indenture dated 25 Feb. inst. assigned all their Personal Estate and Effects to Trustees for the equal benefit of their creditors. The Creditors of Messrs. James Smith & Son of Hardingham, Millers, are requested to meet the Trustees at the office of Mr. I. O. Taylor, St. Giles, Norwich, on Saturday 5 April at 11 o'c on very important business. To Debtors. Unless debts paid to Mr. Taylor before 15 April legal proceedings will be commenced to enforce payment thereof. 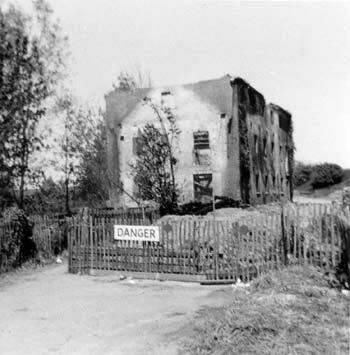 Extensive flour mills at Hardingham occupied by Messrs. Taylor & Tingay were destroyed by fire. 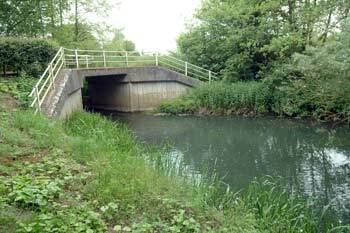 The wall of this bridge at Hardingham has collapsed into the headwaters of the River Yare. 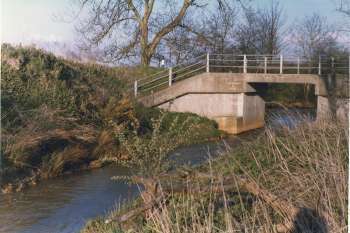 The bridge runs by the disused Hardingham mill and carries a class three road over the outfall sluices. 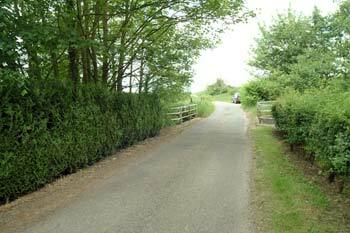 The road runs between Hardingham and Runhall and is one of the routes between Hardingham and Tuddenham. It has been closed to traffic. The millers in the employ of John Tingey, Esq. 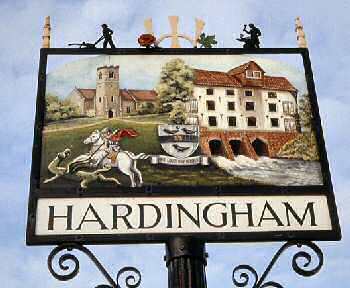 of Little_Ellingham & Hardingham Mills beg publicly to thank him for the concession of one penny per hour of overtime. 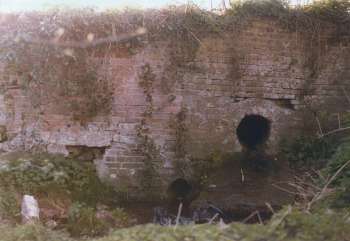 The HARDINGHAM WATER & WIND CORN MILLS situate close to the Hardingham Station on the East Dereham Railway, for many years in the occupation of the late John Tingey, Esq. Apply to Mr. Tingey, Scoulton, Watton. 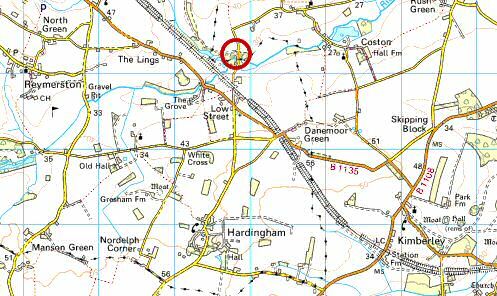 The Water & Wind Mills with 40 acres of Arable & Pasture Land situate close to the Hardingham Station on the East Dereham Railway, for many years in the occupation of the late John Tingey, Esq. 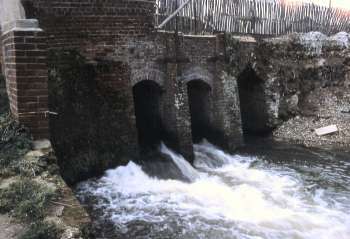 The Water Mill contains three pairs of stones & the Windmill two pairs. Apply to George Freestone Esq. Tombland, Norwich. 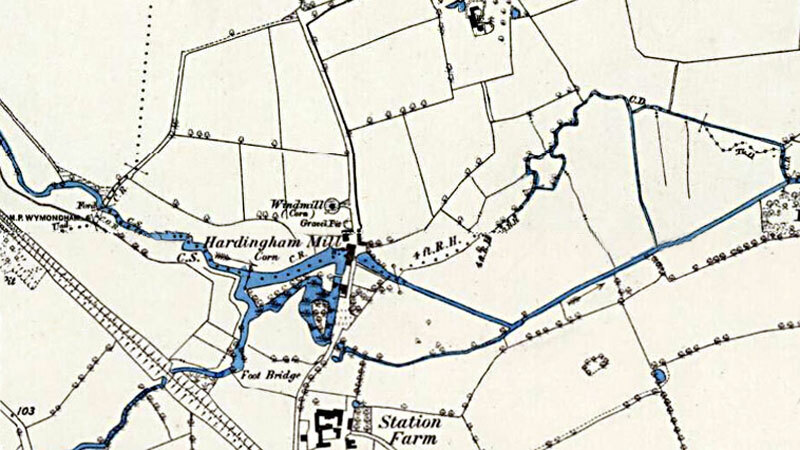 The WATER & WIND MILLS with 40 acres of Arable & Pasture LAND, situate close to the Hardingham Station on the East Dereham Railway, now in the occupation of Mr. George Coote. 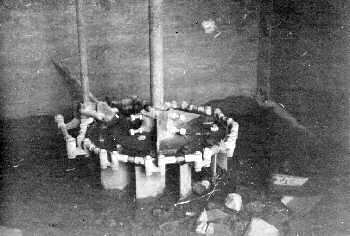 The Water Mill contains three Pairs of stones & the Wind_Mill two Pairs. Apply to George Forrester Esq. Tombland, Norwich. 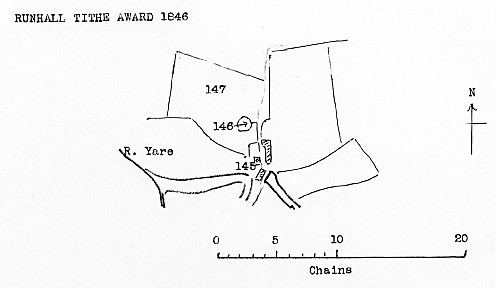 The WATER & WIND MILLS with 40 acres of Arable & Pasture Land, situate close to the HARDINGHAM STATION on the East Dereham Railway, for many years in the occupation of the late John Tingey, Esq. The Water Mill contains three Pairs of stones & the Wind_Mill two Pairs. Mrs. Emma Elizabeth Allen, Mill House, Hardingham, widow, carrying on the business of miller and farmer charged Harvey Samuel Rudd formerly in her employment as farm manager with theft of £18. 10s. in gold. 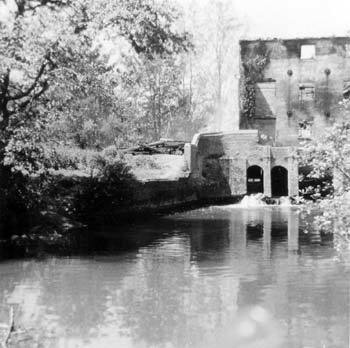 For three or four years during the war blackcurrant growers in the area took their crops to Hardingham Mill where Farrows had a steam engine to steam and pulp the fruit. It was then put into barrels and taken to Hardingham Station to be transported to the preserving factories. 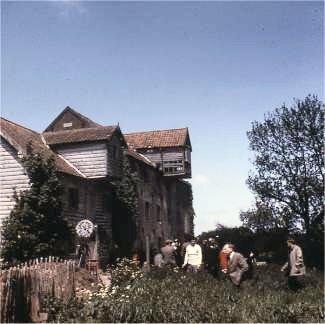 In 1966 the mill was purchased by an American film company and was used as one of the locations for the shooting of the film The Shuttered Room starring Oliver Reed and Dame Flora Robson. 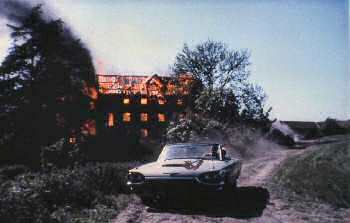 For the final scenes of the film, the mill was set alight and burnt to the ground. 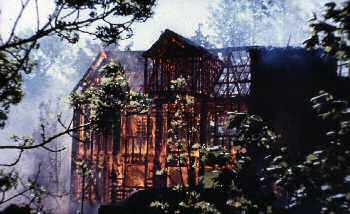 When it was learnt that the mill was to be destroyed, various people contacted local councils and various newspapers. However, the planning committee was of the opinion that the mill had no architectural merit and would not meet the necessary criteria to become a listed building. Ian Gilmore MP sent an urgent hand delivered letter to Mr. Crossman, Minister of Housing, whose department responded by stating that it was a matter for Norfolk County Council. 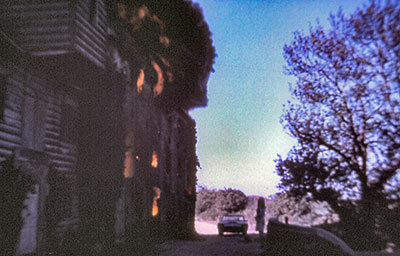 Sir, -As director of the film, I was responsible for ordering the burning of the old mill at Hardingham, Norfolk. 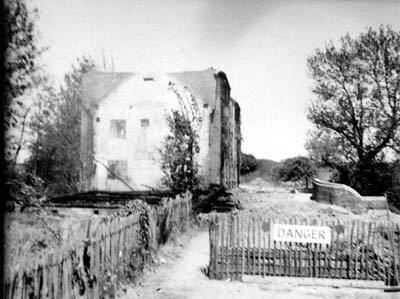 This mill was quite without architectural interest, had not been occupied for 40 years, and was so dangerously delapidated that the road past it was closed to trafffic as unsafe. Its outer appearance was grim and forbidding, and the photographs published in the newspapers all showed it artificially beautified by my film art department, with false windows, doors, shutters, & c.
It was these photographs which roused the indignation of the rural preservationists, who had never previously taken the slightest interest in the place! The derelict Hardingham Mill, which straddles the River Yare and has not been used for about 30 years, is to end its days in a blaze of Technicolor glory. A film unit started shooting on location there yesterday for some of the main sequences for "The Shuttered Room," a highly dramatic thriller which is supposed to be set on an island off the coast of New England. 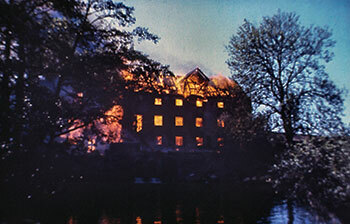 In the final sequence, which will probably be filmed early next week, the mill is burnt down and as it is half brick and half timber, with some massive beams inside, it should make a spectacular blaze. The road that runs in front of the mill has been closed to traffic since last December when part of the bridge collapsed. Whether the bridge should be repaired or the road closed permanently is something at the moment in dispute. The mill itself belongs to Mr. C.L. 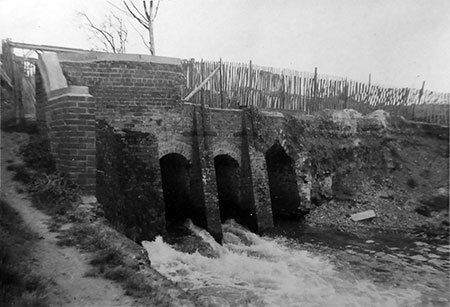 Banham, a Runhall farmer, but the ownership of the bridge is in dispute. Norfolk County Council considers that it not owned by any local authority. Starring in the film are Dame Flora Robson, Gig Young, the American star of the TV series "The Rogues," Carol Lynley, a young actress who has featured in a number of major productions, and Oliver Reed, the British actor who has made an impact in "heavy" roles. Miss Lynley, Mr. Young and Mr. Reed were busy at Hardingham yesterday and Dame Flora will arrive later in the week. Mr. Reed had just finished a scene on an island in the mill pond, during which he was giving forceful attention to Miss Lynley, when a reporter talked to him. He said he had just finished making a film in Canada with Rita Tushington in which he played a French Canadian and in this current picture he played an American fisherman. "After this I have a part as a typical public-school type and it will be a relief to be an Englishman again," he added. Mr. Young has not filmed in England before and he was delighted with the setting at Hardingham. The director of the film is David Greene, who has made a reputation in television in Britain and America, but whose first feature film this is. He was forced to work very fast to finish one scene yesterday when the water in the mill pond started to rise and flood the island on which they were working. 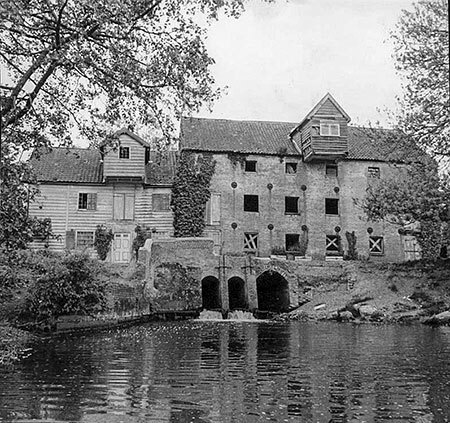 The mill has a starring part in the film, too. It is here that the sinister "shuttered room" holds its secrets, it is here that a body falls from the trapdoor in one of the grain hoists and it is here that the climax of the fire occurs. The film is being made by Troy-Schenck Productions Ltd. for Seven Arts. The producer is Phillip Hazelton. When I visited the site on 27th February 1977, apart from the foundations, all that remained were scattered bricks and rubble, the decaying remains of one French burr stone and a pile of charred beams. The nearby mill house, originally built of brick in 1835, now has a modern but sympathetically designed white weatherboarded extension. Thomas Allen born 3rd October 1831, was the eldest son of Bryant Granger Allen and Mary Allen (née Mary Ramm) of Norwich. The 1851 census shows that Bryant Allen was then 44 years old and working as a dyer, living in Norwich with Mary, who was 43. 19 year old Thomas, who had 4 brothers and two sisters, was working as a clerk. On 13th November 1852, Thomas Allen became a Freeman of Norwich and at this time he was working as an accountant. Thomas married Elizabeth Burton at Thorpe St Andrew on 30th December 1856. By 1881 Thomas, at the age of 49, had become a Norwich corn merchant and also the miller at Hardingham. Elizabeth who was 45, was living with him and they had four children - Sidney Granger (11), Mary (9), Lee (6) and Ernest (4), all of whom were born in Norwich. At this time the Allen's were living at Scoles Green, Norwich along with three staff. Francis N. Palmer (20) was clerk to Thomas, Emily Freeman (65) was housekeeper and Martha Aldis (16) was a servant. Thomas Allen died on 20th October 1892 and was buried in Rosary Road cemetary in Norwich. 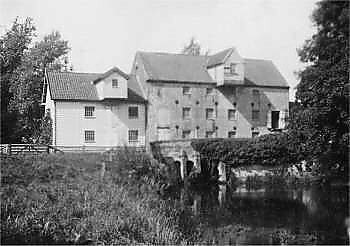 It appears that his son Lee then took over the running of Hardingham Mill while Sidney took over the running of the Norwich side of the business at Quayside mill and 110 Corn Exchange. The family business of RWB Page was started in the early 1920's by Bertha Page, the great grandmother of the current Managing Director of Allen & Page. Sidney Allen's Quayside Mill site in Norwich was purchased by RWB Page in 1936 and the companies then merged to become Allen & Page. The company still provides high quality specialist horse feeds to this day, operating from Shipdham. 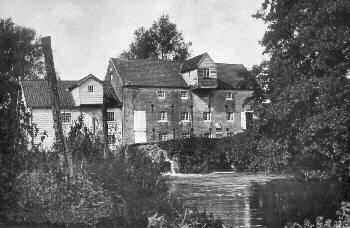 I have just read your pages on Hardingham Mill with great fondness and memories. 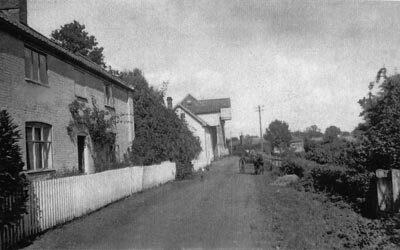 I frequently played at the Mill as a young child with my sister as we lived just along the road into Runhall at the Black Horse. We would often walk to Mill and take our little fishing net and try to catch tiddlers in the stream. Things were very different then and we often talk about how our mother let us walk there alone and play next to the quite dangerous millpond and derelict building. 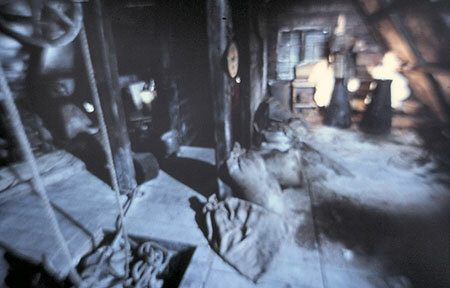 There was a very strange man living in the Mill House at the time too, Kenny New. We once had to knock on his door as one of us had fell and cut our knee, or something. He asked us to wait in the doorway and all I remember was a table piled high with egg shells and a floor covered in newspapers! He was a harmless man and we would see him walk past our house every week on his journey to collect eggs from the farm. However, my greatest memories and excitement come form when the 'film stars' came to the Mill and we would go and join them every afternoon for tea after school. We were so excited, my sister Lesley was 9 and I was 7. It was less that a quarter of a mile from our house and we would walk there after school. 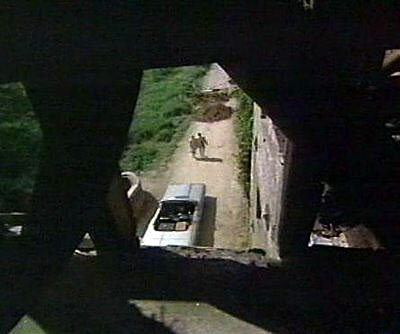 In those days there was no traffic and anyway the road would have been closed off because of the filming. My mother would stay at home looking after our younger sister who was only 3. 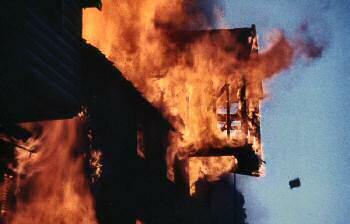 The most vivid memory I have though is of the day the Mill was actually burnt down. We were allowed to go and watch from the next field. My Dad took Lesley and I to watch and my mother stood in our field at the back our our house and held my younger sister, Gillian, up to watch from there. I can still feel the heat of the fire now on my face. We stood some 400-800 yds away at a guess and the fire was so fierce and hot it made it such a memorable day. It was a very exciting experience for everyone in the village and especially for us, two very young children who felt we had had some involvement with the film. At the time we didn't own a camera so didn't have any photographs but we did get all of the 'stars' autographs. Unfortunately, those have now been lost. My father was a great one for having bonfires and burning what he considered to be old rubbish. Once I went out to see one of my old toys melting in the flames, I was devastated but he would quite logically say that I hadn't played with it for years so wouldn't need it any more. I often wonder if that is what happened to my autograph book, if so what a fitting end to it. Luckily the memories are still there especially whenever I watch the film and more so looking the the photographs on your web site. Thank you for putting such a lovely site together and I hope my little story of our involvement has added a bit more background to the information you have. Do let me know if I can help with any other information etc. 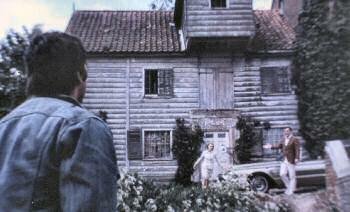 My mother says the film stars stayed locally at the farmers house, and her knowledge and memories of those details are much greater than mine. 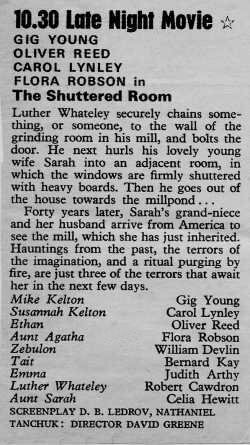 A few years ago I was trying to find out the locations used for the film The Shuttered Room, as I had read from a movie review book that some of the scenes were filmed on the Cornish coast. After searching for the film details on “Google,” just the name of Hardingham, in Norfolk came up under film location. Although I had visited Norfolk on a number of occasions, I had not heard of this village, so I then entered Hardingham onto the internet search engine and came across your excellent web-site. 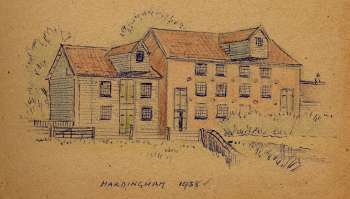 A few months later when I was in the area, I thought that I would pay a visit to Hardingham and find the spot where the mill once stood. On arrival, I walked onto the road bridge, leaned over the rail and looked down at the mill pond. I found that the spot still generated the odd memory from the film, and I remember wondering years before .... "I don't think that's a film prop, it looks like a real building on fire!" As I stood there the only sound was the water flowing beneath me. It was strange to think that this area was a hive of activity for a short time years ago, with film crews and big screen actors. 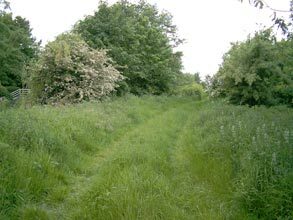 It was nice to see that the area had not been built on or changed in any way, and only nature had taken over. My name is John Wernham, and for a hobby I write stories and poems. After seeing the sad fate of Hardingham Mill on your very interesting web site, and seeing the film `The Shuttered Room`. I decided to pay a visit to this sad site of deliberate destruction by a US film company of a piece of Norfolk Water Mill history, just to make a horror film. I was saddened by what I saw of all that was left, just a few bricks. So I sat down there and then and wrote a poem of the sad fate of this old Mill. This poem was, last year, read out at the end of a showing of `The Shuttered Room` at the Regent Cinema in Wymondham, Norfolk. (Just a few miles from Hardingham.) 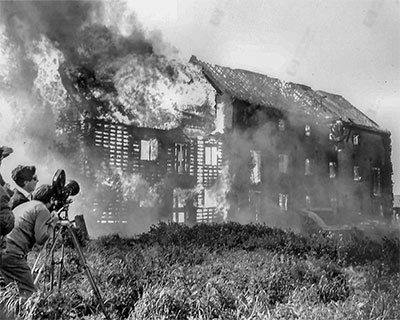 Which was a local afternoon`s history lesson, that told the sad story of this deliberate burning down of this old Mill to make this film. my water wheel that turns the stones, fills twenty sacks an hour. my wheel race quickly silting up, with rubbish and mud and grott. they closed the lane that passed me, then I knew I was going to die. but so little did I know back then, that this part would be my doom. the painters came with cans of paint, and Carpenter's busy with saws. the narrow lane outside was floodlit, with people and American cars. they are going to film me burning down ,I’ll never make flour no more. a silly view to take, as in future years I would have made this place. today if you ask where I stood, people just stare and shake their head. please remember me just over the bridge, as now alas, I’m just a ghost. February 1853: Repairs carried out by Smithdale & Co at a cost of £3.0.0.